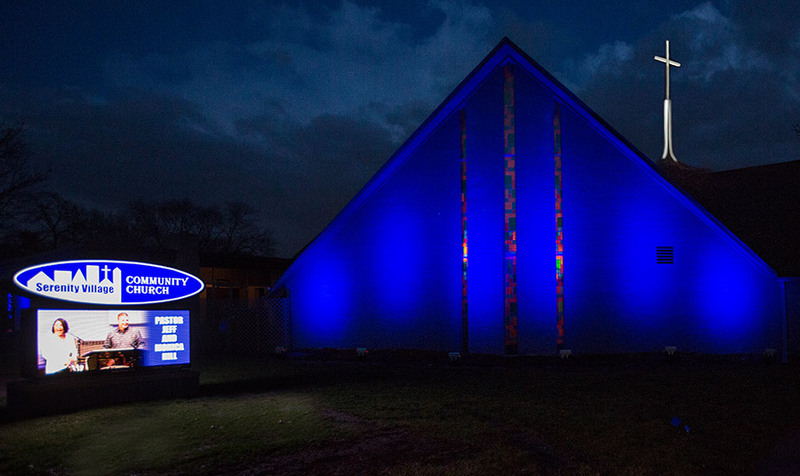 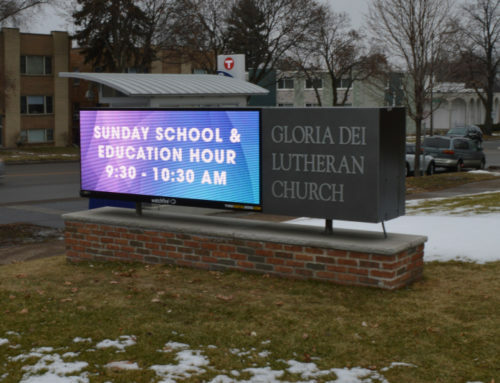 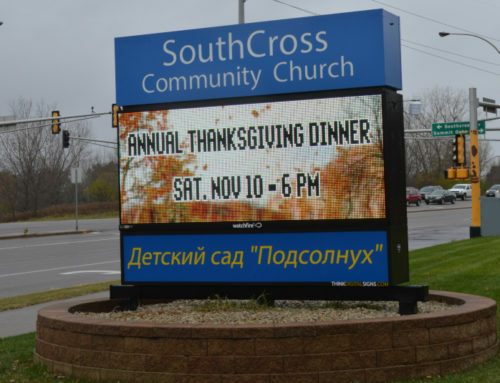 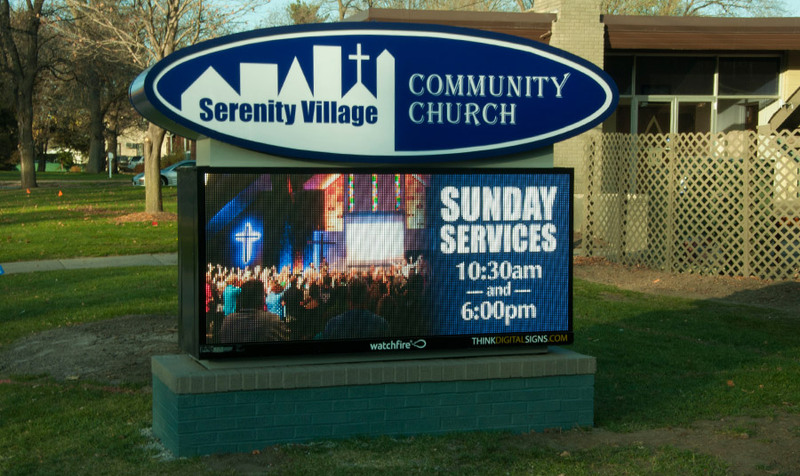 Think Digital Signs took the time to understand Serenity Village Community Church’s brand, imaging, and creative needs. 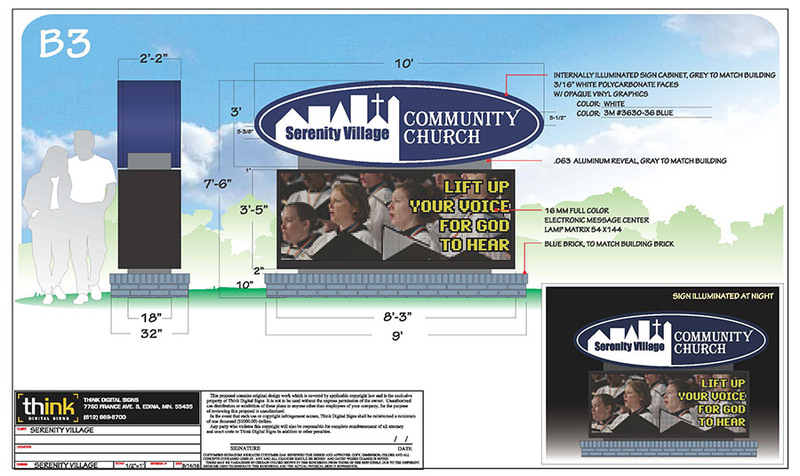 Serenity’s logo was an important component of their new monument sign. 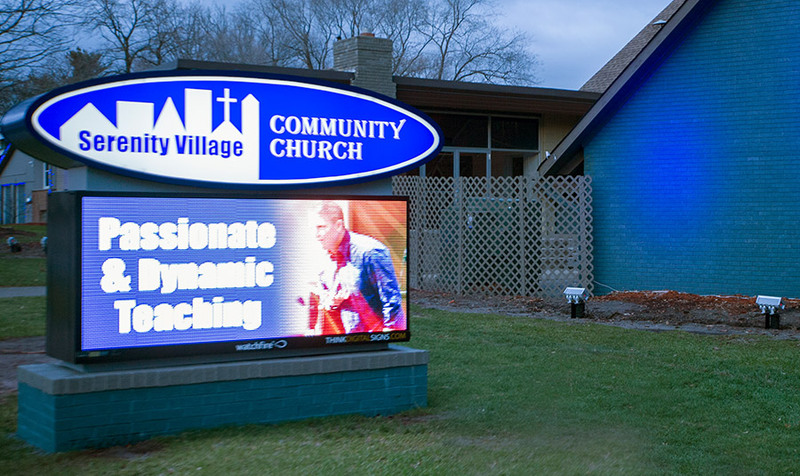 We created a design in which the logo floats above the message center. 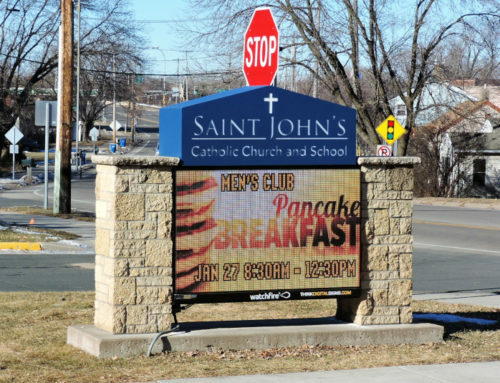 Think Digital Signs delivered an innovative design on a short timeframe. 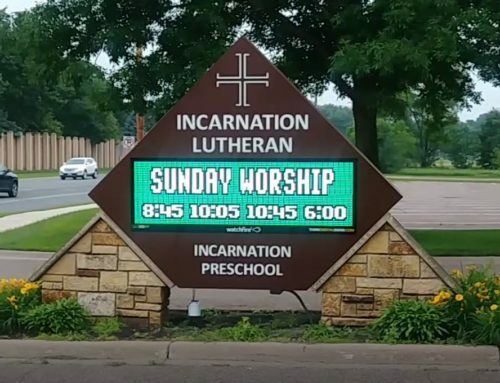 The sign was unveiled at an important church event. 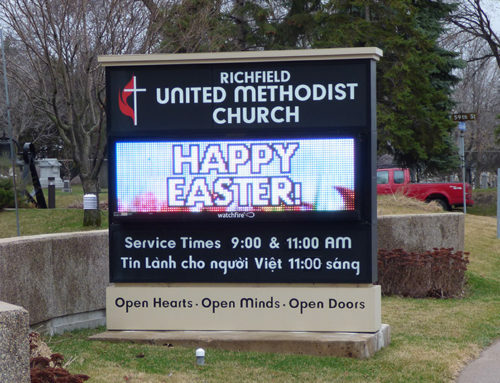 Think Digital Signs accommodated several special requests to get the job done right and extremely quickly.